Languages are integral to our identity, our heritage, and our humanity. 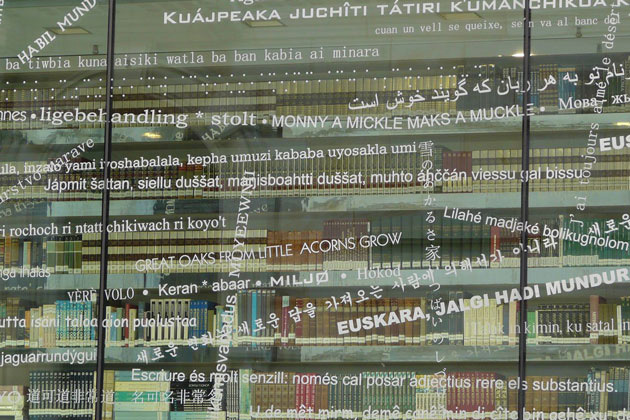 With most of the world’s languages endangered to some degree, thousands of language communities have committed to revitalization efforts, from documentation and renewal to revitalization and maintenance. These efforts respond to the urgency of the situation in the absence of robust comparative research. Sustained efforts in language revitalization and the accumulated literature on these efforts are at a point where larger-scaled comparative analysis and synthesis are possible. To address this need, the Center for Folklife and Cultural Heritage has developed an interdisciplinary research program, Sustaining Minoritized Languages in Europe (SMiLE), that seeks to examine autochthonous (native to a place where found) or minoritized language revitalization initiatives in Europe. 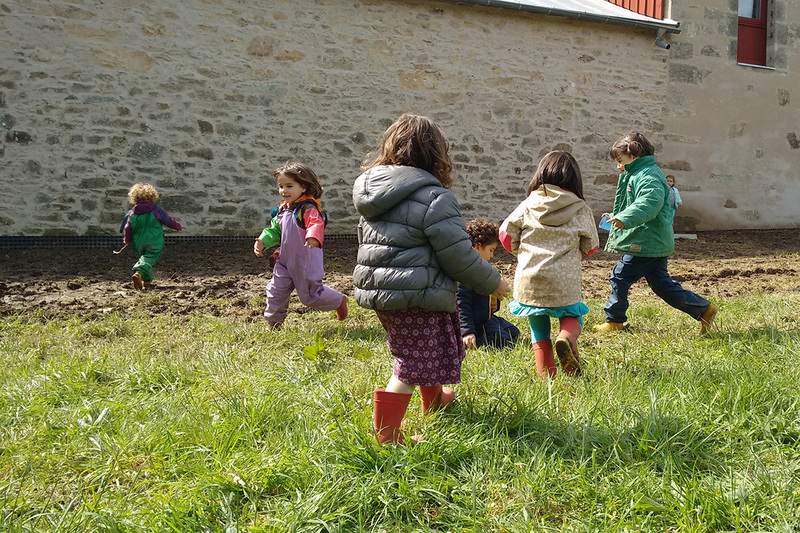 Based on research at the Center and proceedings from an international workshop in Barcelona in 2016, the project offered competitive awards in November 2017 to six teams of researchers working collaboratively in language revitalization in Europe. From January 2018 until July 2019, they will produce ethnographic case studies focusing on the process of revitalization in their communities, including how programs build on motivational responses to social, cultural, political, and economic factors. In order to produce comparable profiles, each team will minimally answer a set of research questions (found under program materials). The case studies will lead to more generalizable data, which in turn can be applicable to other languages. The research teams and advisory board will work together to analyze the data and present the results to the originating communities, other minoritized or endangered language communities, and academic audiences. 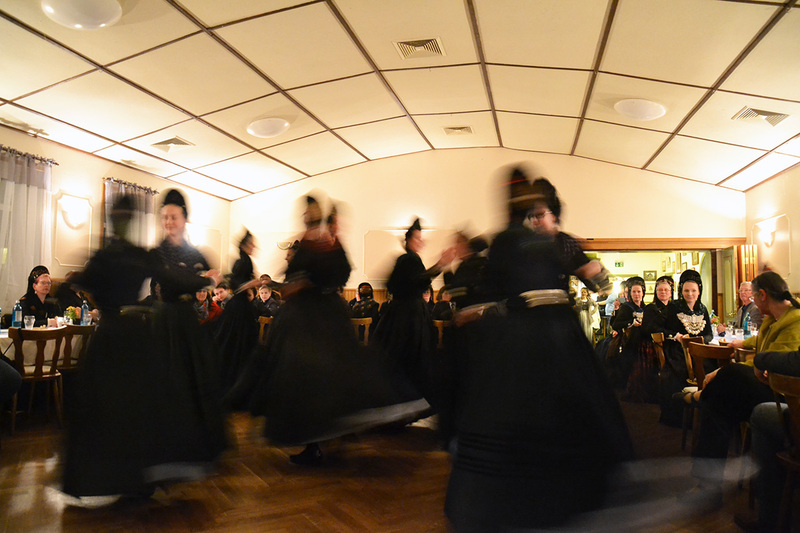 The awardees consist of researchers embedded in Galician, Greko and Griko, Irish, North Frisian, Occitan, and Upper and Lower Sorbian communities. Read more about each of these case studies and the principle researchers below. SMiLE Research Awards are sponsored by the Smithsonian Center for Folklife and Cultural Heritage with funding from Ferring Pharmaceutics Inc.
Com es revitalitzen les llengües minoritzades a Europa? SMiLE research and case studies will be completed in summer 2019. Below you can explore the case study communities and research teams. Each profile is in both English and the focus language(s) or variations. The following information is included in each language profile. Endonyms are names people give to themselves and their languages, as opposed to exonyms which are used by people outside of that group. For example, the language spoken in the Netherlands is called Dutch in English and holandés in Spanish, but their own name for their language is Nederlands. ISO codes (ISO 639-2 Language Codes) are international standards that represent the names of languages. The codes help to disambiguate multiple language names and spellings when conducting research in archives, libraries, or online. Current speakers include native and new speakers. Numbers cannot reflect actual usage or pressures from the majority language(s). These numbers are provided by the research teams and are meant only to give a general idea of the speaker base. Galician is spoken in Galicia, an autonomous community in northwestern Spain. Like other Romance languages, it developed out of the dialects of vernacular Latin and stems from the same linguistic branch as Portuguese. Greko and Griko are the two minoritized languages of Greek origins spoken in the south of Italy. 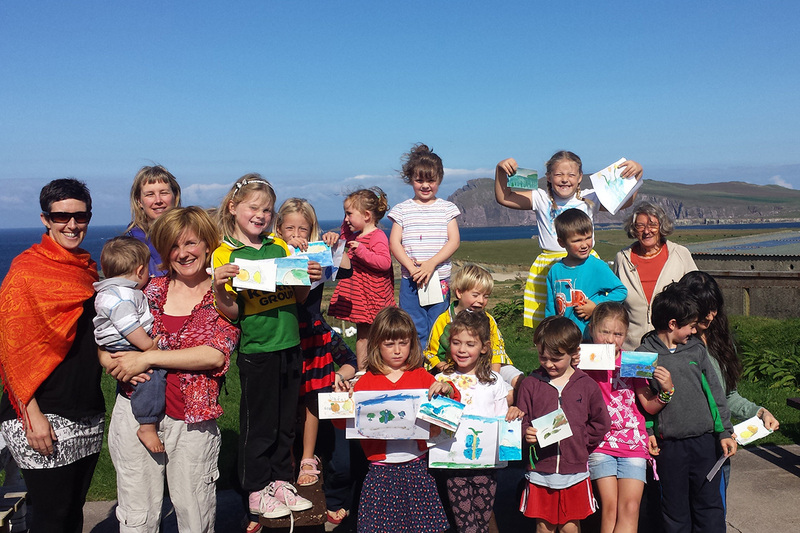 Children show off artwork created at Casadh na Gráige. Irish is one of the six Celtic languages. Although it is Ireland’s primary official language, the number of daily speakers outside the education system is estimated at less than 80,000. This reality stems from centuries of language shift, the underlying causes of which share similarities with other minority language communities worldwide. North Frisian is an endangered West Germanic language spoken along the coastline and islands of the far northwest of Germany. The language is traditionally divided into two main groups—Island- and Mainland North Frisian—due to the different arrival times of Frisians to their current homeland. 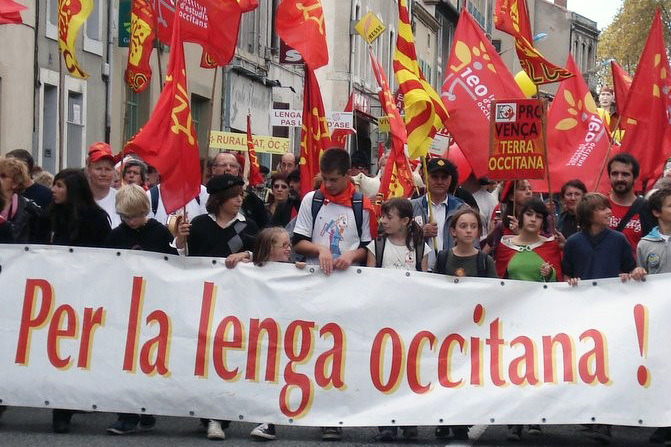 A pro-Occitan language demonstration in Béziers, France, in 2007. Occitan is a Romance language spoken in Southern France and parts of Italy, Catalonia, and Monaco. 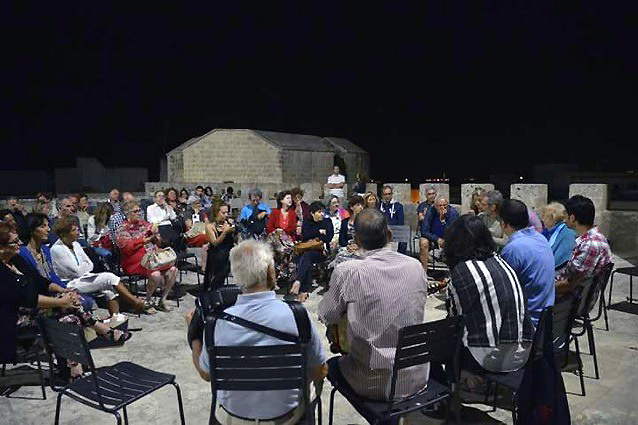 The Occitan context in Southern France represents one of the earliest cases of language revitalization in Europe, with ongoing literary and language movements since the sixteenth century. 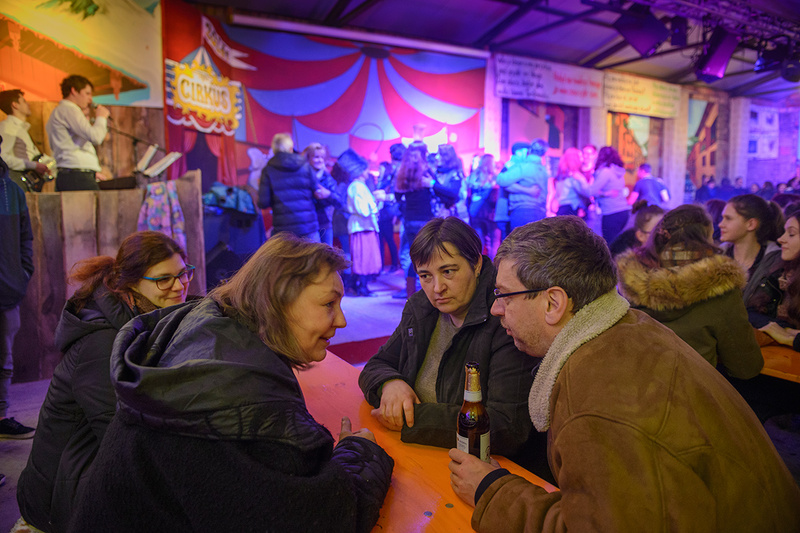 The smallest Slavic group with approximately 60,000 members, the Sorbs are an autochthonous minority inhabiting Lusatia, Germany. They are divided ethnically and linguistically into Upper Sorbs and Lower Sorbs. Both languages have a long written tradition. General inquiries about SMiLE may be sent to CFCH-Smile@si.edu.